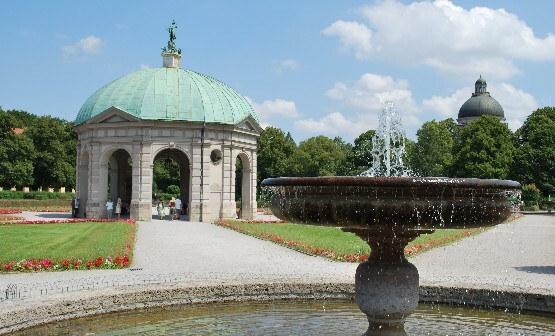 Munich’s Hofgarten was the former gardens of the Royal Residence, but where the kings of Bavaria once walked in privacy, you can now enjoy with the rest of Munich’s public. The garden is just a stones throw from Odeonplatz but is a true oasis of peace and tranquillity, packed with flowers in the summer months. 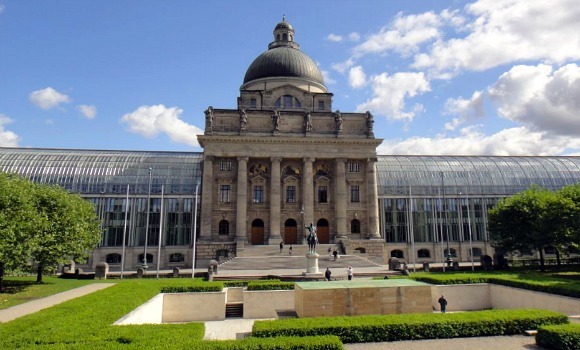 The horticultural experience here is enhanced by the architectural one, provided by the grander side of the Royal Residence and the glass covered State Chancellery. The garden is laid out in a formal manner with a number of symmetrical water features and flower beds surrounding the domed central pavilion which dates back to the 1600s. There are several diagonal paths to walk around the garden and plenty of benches to sit on too. We spent quite a bit of time here, sat on a bench, people watching and soaking up the summer sunshine which was really relaxing! 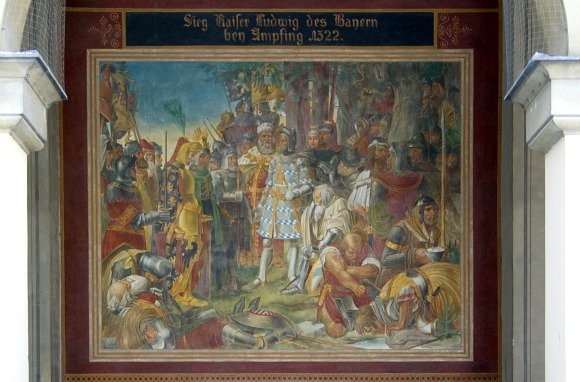 Other highlights in the Hofgarten include the painted walls in the archways on the Residenz side (pictured below) which depict the History of Bavaria, and the White Rose memorial to those who lost their lives for campaigning against Hitler. The gardens are open daily, all year round, from dawn to dusk. Admission is free. Address: Hofgarten, Residenz München, Between Ludwig and Marstall Strasse, Near Odeonplatz, München.